The building now known as the Heritage House was built about 1870 as an attachment to the log cabin home of original property owner Frederick Raths. Raths emigrated from Germany in 1853 and purchased the Woodbury property in 1866. This addition was used by the Raths family as a kitchen and living quarters. Over the years, it has also been used as living quarters for farm hands, and as a washing room and utility room. In 1895 the log cabin was torn down when Henry Raths, son of Frederick, built a new home. The addition was then moved north of the new house where it remained until 1993. Jacob and Lizzie Stutzman bought the farm from Henry Raths and his wife Rebecca in 1903. Herbert Stutzman (son of Jacob), and wife, Laura, became owners in 1919 and worked the farm with their two sons Roy and Warren. In 1951, Wendell and Borgie Thompson rented the farm and operated it until 1993. In 1993 the Stutzman familyl farm on Radio Drive at Lake Road in Woodbury was sold to developers. Woodbury Community Development Director Dwight Picha recognized that one of the farm buildings was a good example of the structures built in the earliest days of Woodbury’s settlement and was worthy of preservation. He initiated a cooperative effort with the developer, who agreed to donate the building to the city. The Woodbury Heritage Society stabilized and restored the building. In the fall of 1993, the building was relocated to a temporary spot north of its original site until its final move. 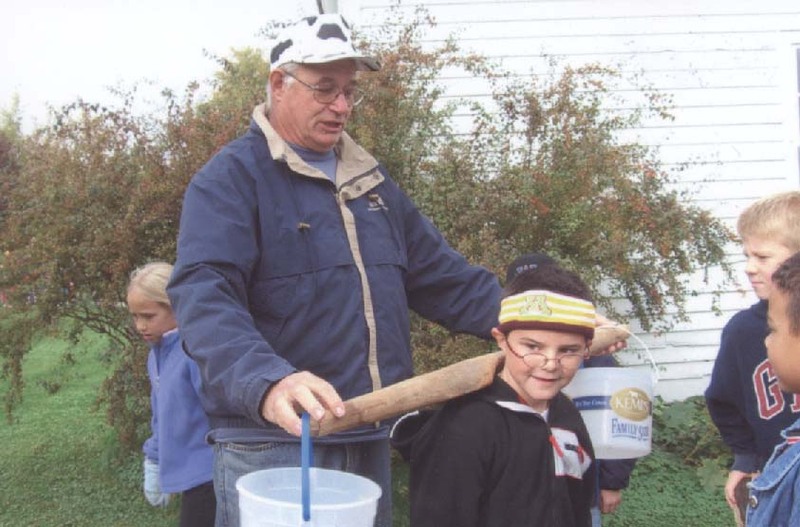 Beginning in spring 1995, our members, Boy Scouts, and other volunteer workers have repaced the roof, repaired the chimney, patched siding, painted the exterior and interior, fenced the yard, built a handicapped access, installed new windows and doors, and added a small entry porch. A perfect complement to Woodbury’s Heritage House is the garden just outside the front door. This was part of the European tradition the settlers brought with them. 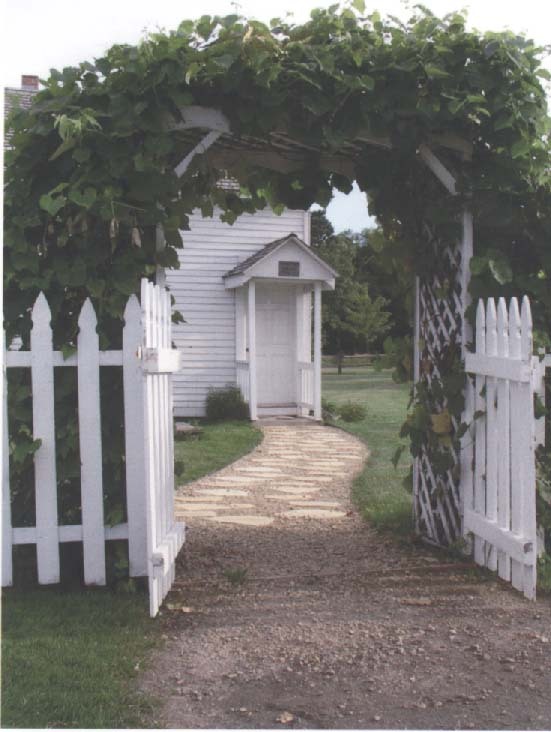 Much of Woodbury’s history revolved around gardening and work on the land. The early apple orchards, truck farms, grain crops, family vegetable plots, and the flowers were, and are, very important to the human spirit. The Heritage Garden has several themes, the local heirloom plants, the vegetable garden, the trees and the butterfly garden. Vital to our garden is our commitment to the use of natural methods both for growing and for reducing plant pests, avoiding chemicals as much as possible. We realized that it was important to preserve the garden plants which grew on our early farms. We asked members and friends to donate a plant slip or a plant that had been grown for years on their land. Many people have been excited to share their plants which were traditions in early gardens, making our garden a living museum of Woodbury’s past. In our efforts to return to an 1870s era with our garden, we have planted heirloom seeds that represent many of the crops that would have been grown by Woodbury’s earliest settlers. 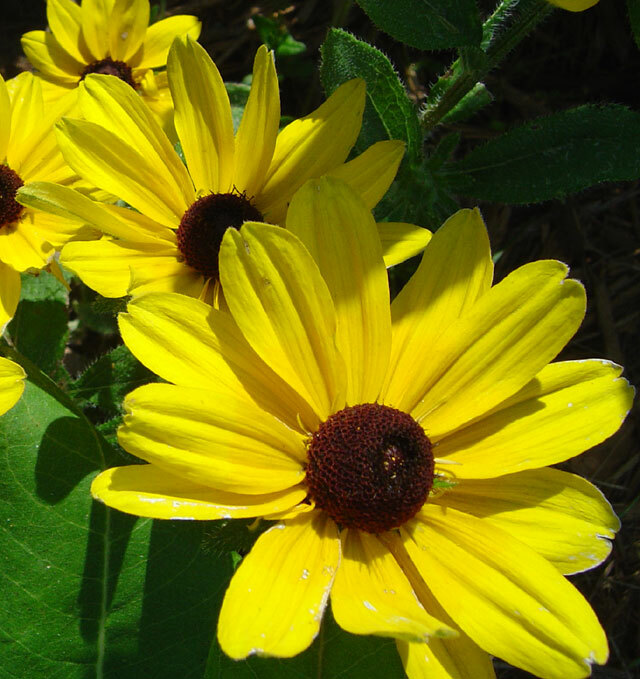 Sunflowers, corn, barley, potatoes, tomatoes, pumpkins and cucumbers are some of the recent garden crops. Since Woodbury farms had so many fruit and shade trees in the early years, we have planted examples of some of the traditional favorites. Many of these trees were purchased as memorial gifts to the society. We are grateful for these thoughtful, living memorials. Our butterfly garden, dedicated in 2008 to Bernice Bielenberg, is planted with native flowers which attract butterflies. Our garden is maintained by volunteers and we are almost always looking for more! Please contact our office if you or your group would like to help. Many hands make light work. The Woodbury Heritage House is open to the public the second and fourth Sundays of the month, from 1 p.m. to 4 p.m. June – September. A member of the Heritage society will be on hand to welcome you and answer questions about our exhibits in the house and garden. The open house is free and all are welcome. 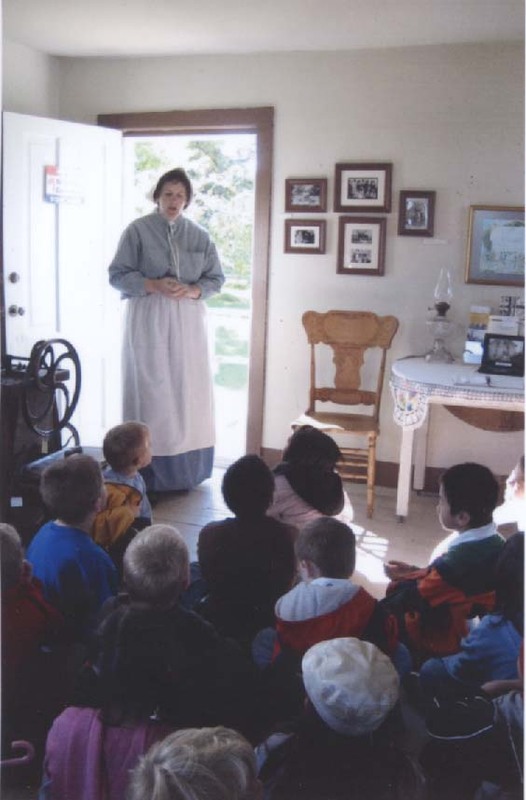 We also welcome school groups, scout troops and other community organizations for tours of the house and garden at times that are specially arranged. Contact our office to see about setting up a time for your group.